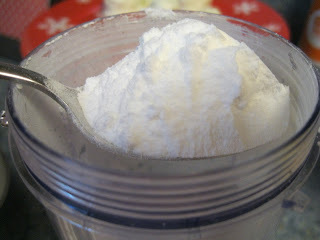 Making your own powdered sugar (Sugar Free or Regular) is super easy and quick! It only requires two ingredients and takes about 30 seconds! 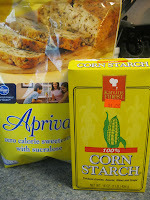 You can make sugar free powdered sugar! You will need to use one that measures out equally like regular sugar. It can be substituted for regular powdered sugar in recipes, but obviously won't have the exact same taste as regular powdered sugar, but if you are a diabetic, it is a great alternative! Blend in blender till powder consistency. In my rocket it took like 15 seconds! 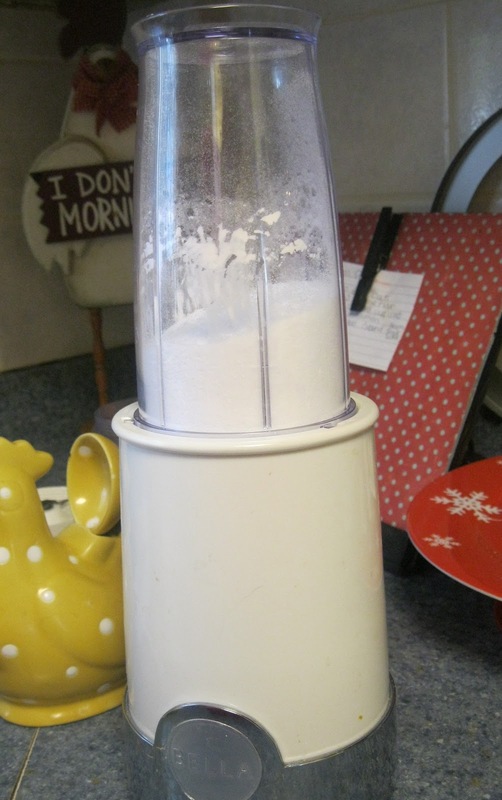 Jan's Tip: Word of warning: Both Sugar and Sugar Substitutes can leave little pit marks in your blender, as it processes, so keep that in mind if you have a special show stopping blender. Mine didn't do this, but I have heard reports of it happening. You Rock! I was wondering if I could do this, but didn't know what else to use. Thank you sooooo much! Sakura you are always so kind to me! Thanks for that!